We’ve been to some pretty impressive beaches during our travels. From the white sands of Western Australia, to the warm Caribbean waters of Puerto Rico, to the picture perfect Boracay, Philippines. So when I heard about Florida’s award-winning beaches in South Walton (voted by USA Today), I was curious what all the fuss was about. Little did I know that when I would leave South Walton, I’d never be able to look at beach sand the same. At first glance the Hilton felt like we were back in Bali. A towering beach resort, positioned right on the edge of the Gulf of Mexico. 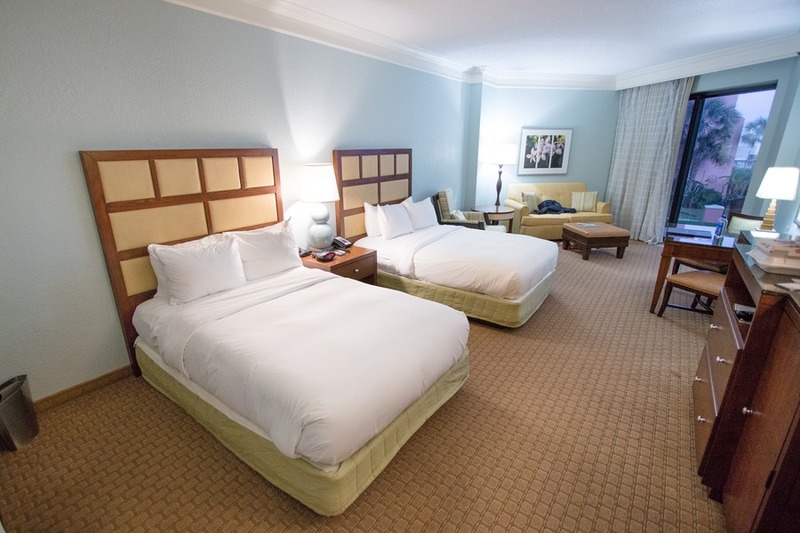 Upon check-in we were offered an upgrade to a deluxe junior double suite. 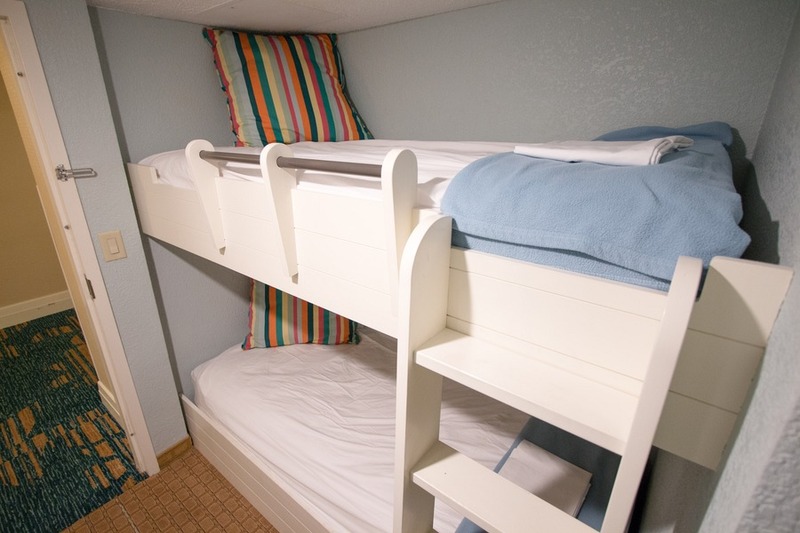 Our kids made the decision for us and gladly accepted since it included a bunk bed. Of course this was the best thing since sliced bread. Our ground floor suite had a sliding back door opening to a grassy area, offering views into the mesmerising sea. I could tell I was already falling in love. The room size was very generous, with two double beds, a sofa bed and a little enclave with a bunk bed. There was a mini fridge, microwave and 2 TVs (for the kids and adults). The resort included both indoor and outdoor pools and was mere steps to the beach via a boardwalk. A convenient shoe rack located near the beach entrance allowed guests to leave their shoes behind before sinking their toes into the infinitely white sand. The sand in these parts are not ordinary by any stretch of the imagination. As I walked through the fine, ivory sand it began to squeak, almost sing, as it shifted under my feet. Hence why South Walton’s beaches acquired their fame as the “singing sands”. I found the food at the Hilton to be quite expensive and lacking diversity. The lounge and the main restaurant (located opposite each other) served the same food. A breakfast buffet where 5 years and under eat free, still set us back nearly US$60. And I can tell you my 7-year-old who barely finished 1 bowl of cereal did not eat $15 worth of food. The food was the biggest disappointment, since there was not a lot of options in and around the resort. For that reason, I recommend using a rental car on your vacation so that you can leave the resort to find your own meals or at least hit up a supermarket nearby and eat in your room. The Wi-Fi was also a major issue when we first arrived. We could not join the network and front desk told us to call IT support. IT support said they had no idea what was happening. Not very helpful. Josh, an experienced IT guru, eventually convinced them to restart the router and we were finally given a slice of unstable, painfully slow internet. Lastly, upon checking out I was given a receipt of my charges and everything seemed in order. Nearly a week later we discovered on my credit card statement that we were charged incorrectly for an extra night’s stay and another 1% on top of all our food purchases. The staff are unable to help on the phone so I needed to email the hotel’s accounts person to sort out these billing issues. Granted they refunded the money the same day of my email, but without an apology or explanation of any sort. All in all, I would stay again. 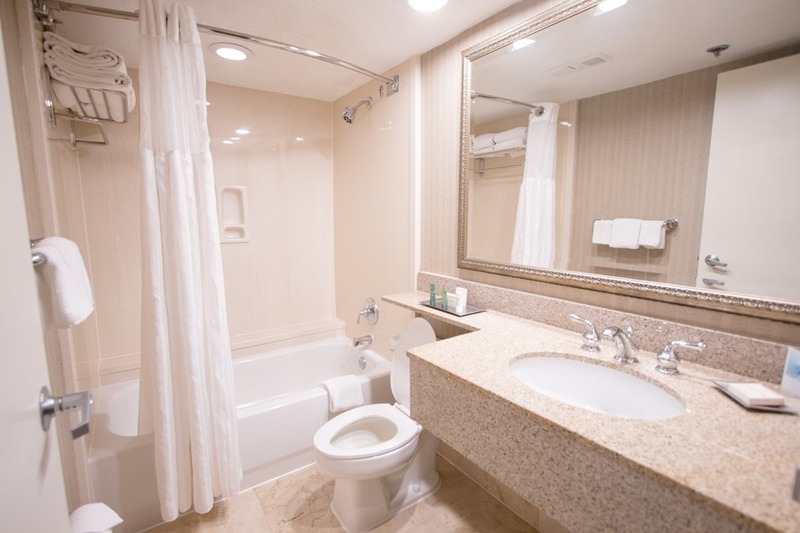 The location is spectacular and the rooms were very family friendly. The amenities (aside from Wi-Fi) are great and the kids had several pools to choose from including their favourite heated indoor pool. Just double-check your bill before you leave. Oh, and tip the parking/valet staff, they were great with restaurant recommendations. The reason why we were in town was the invite-only TMS Family Travel Summit. 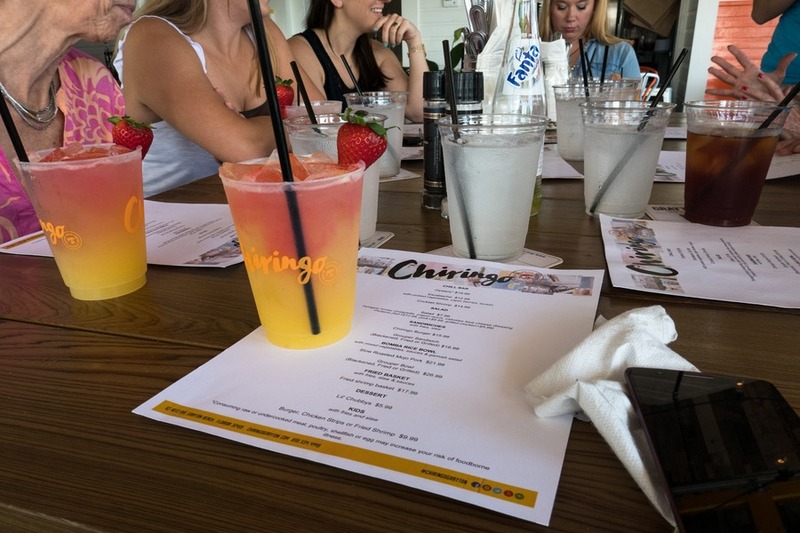 Having attended the Travel Media Showcase for the first time last year, I was very excited to be an invited guest at the intimate gathering of industry experts to discuss millennial family travel. Google, National Geographic, Frommers, and Lonely Planet were all in attendance… and Travel With Bender. The summit brought forward valuable statistics about millennial travel and how we can better serve them. It was exciting and insightful… Although I am still unsure as a 1980 baby whether I’m a millennial or Gen X. I guess you are only as old as you feel, right? You have to be pretty callused to not be impressed by South Walton’s fine, white sandy beaches. There was no seaweed in sight and the green water is said to be ever-changing based on seasons, weather and currents, with times of perfectly blue hues and clarity like crystal. One morning we were joined on the beach by two local experts who talked to us about sea turtles - the current dangers and how, we as humans, can help. South Walton takes a very active role in making sure sea turtles have the strongest possible chance of survival. From banning bright beach lights within 750 feet from the sea (replacing those with a dimmer orange colour to avoid affecting turtles’ migratory patterns), to removing all man-made obstacles from the beaches (chairs, umbrellas, and even sandcastles), to educational programs. An enlightening discussion, and even my kids found practical takeaways to put into use that very day. After our very thoughtful turtle talk, we were introduced to Rick & Capri Mungeam from Beach Sand Sculptures. A husband-and-wife team that take the art of sand castles very seriously… but with a generous dose of humour. In a surprisingly enjoyable lesson we were taught the foundations of beach sand sculpting from understanding the tools, to choosing the right sand, to ensuring strong foundations, to the secret of achieving maximum sandcastle height. Then on top of that were shown how to sculpt intricate details, faux-brick patterns, steps, bridges, and more. Once it was time to get our hands dirty, uh sandy, we worked as a team to sculpt our own work of sand art. Our kids declared it one of their favourite activities ever, and I have to agree. It was a unique and fun way to spend quality, tech-free time as a family and everyone was so absorbed in this creative endeavour that we almost forgot to take a final photo of our masterpiece. Beach Sand Sculptures has grown rapidly and now, with a team of other sand sculpture artists, provide 1200 lessons each month in the local area. I’m not surprised they’re the #1 rated outdoor activity in the area on TripAdvisor. 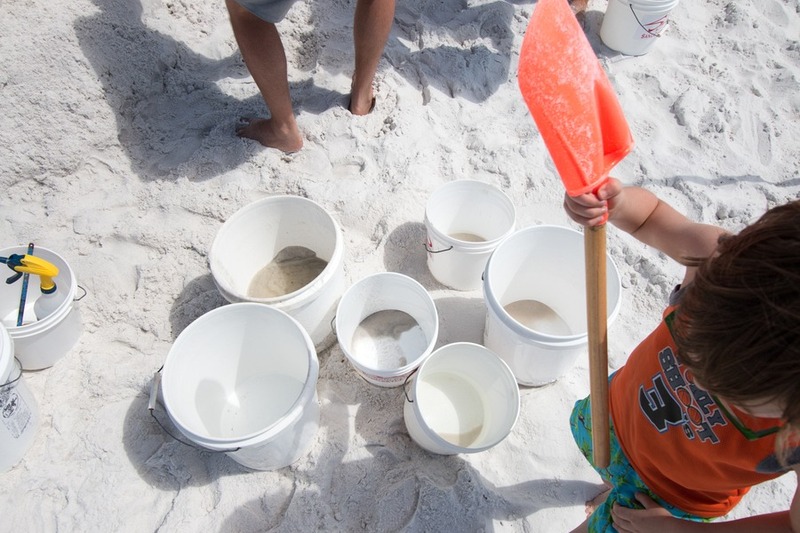 It’s the best thing to do in Sandestin. I can’t wait to head back to Australia and put our newfound skills to use on the local beaches. We’re bound to turn heads. Watch out! Nearby is Baytowne Wharf, a cute family friendly village in the heart of Sandestin. I tried the zip lining, and there’s also mini golf, a ropes course and more. We even saw a hydro-flight performer take on new heights above the water. Very impressive! Western Lake is one of the rare coastal dune lakes where you can join The Boathouse Paddle Club for a stand up paddle boarding (SUP) lesson. It was my first time and thanks to the team it was a complete success. I did not get wet that day except for the moment I decided to sit down and dangle my feet in the refreshing water. One of my favourite areas of South Walton was Seaside. A stepford-housewife-esque village with perfect white picket fences and speed limits below 25 miles/hour. Imagine The Truman Show and you have the right idea… In fact, it was filmed here. Even if you visit to walk around the town, you will love it. But for something fun and entertaining head to The Repertory Theatre. Two actors performed The Compete History of America. It was quick, punchy and utterly hilarious. After the show they performed improv dragging in members from the audience. I got to play Lady Gaga, and under all the pressure totally forgot all of her songs, haha! Highly recommend – the theatre that is, not pretending to be Lady Gaga. If you are a painter looking for the best location to paint then head to Grayton Beach State Park. There is ample opportunity for artistic expression within the park and plenty of space to set up an easel and get your paint on. Food at the Hilton was relatively expensive so if you are looking for something different, check out these delicious alternatives. After a show at The Repertory Theatre take a wander down Airstream Row – a collection of vintage aluminum Airstream trailers in front of Seaside’s town square. We were lucky enough to try some tucker from each food truck and it was delicious. You can get everything from grilled cheese to smoothies to delectable homemade frozen custard. My favourite had to be those amazing grilled cheese sandwiches from The Melt Down On 30A and the health store Raw & Juicy Life - surprisingly yum! The owner of this hot spot shared quite the story from his days as a door-to-door salesman to the owner of several popular restaurants. This gastropub features Chef Gary Serafin's culinary creations with a regional twist served upon 100-year-old reclaimed cypress tables and bar tops. Gorgeous! Looking for a nice relaxing place by the beach? This restaurant serves fresh food with beach views. Pretty simple menu, but it's right on Grayton Beach. I loved the outdoor elevated seating and they do have a yummy cocktail selection. 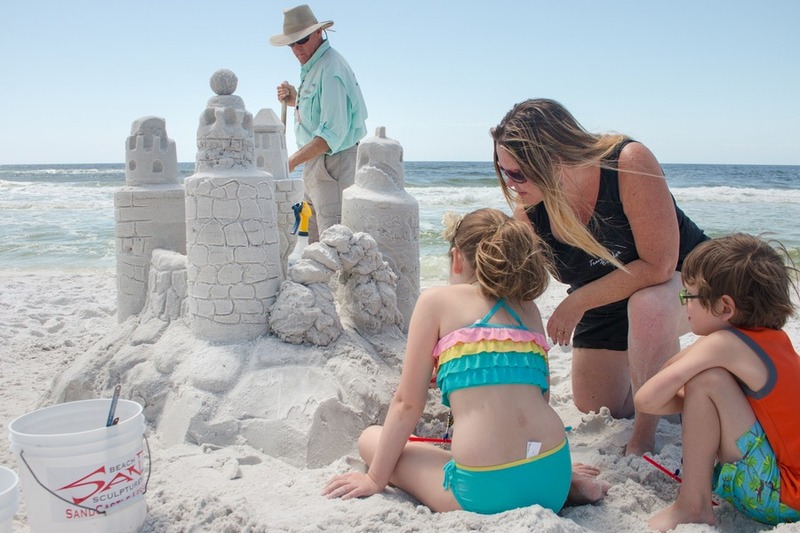 South Walton is home to less than 60,000 local residents, but welcomes up to 3 million visitors each year. This gives it a laid back, beachy, yet hospitable vibe. 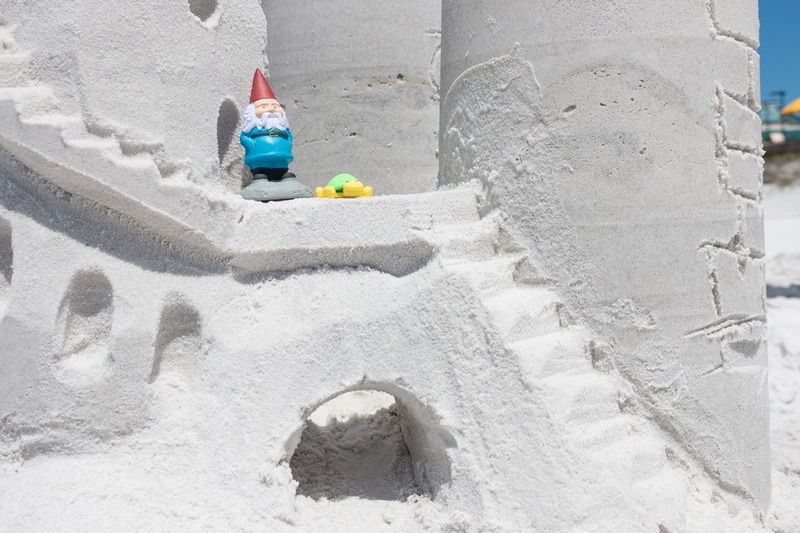 After our small taste of this beautiful vacation hotspot, consider me part of the squeaking sand choir. And I can’t wait to put our newly learned beach sand sculpture skills into practice on our travels around the world. Now, for the tough question… what to sculpt next?... and where?